There was hope, promise, and excitement that day as Dolphins fans thought they had finally found their next franchise QB, drafted #8 overall. Seven years later, you find the feelings of hope, promise and excitement replaced with disappointment, frustration and apathy. 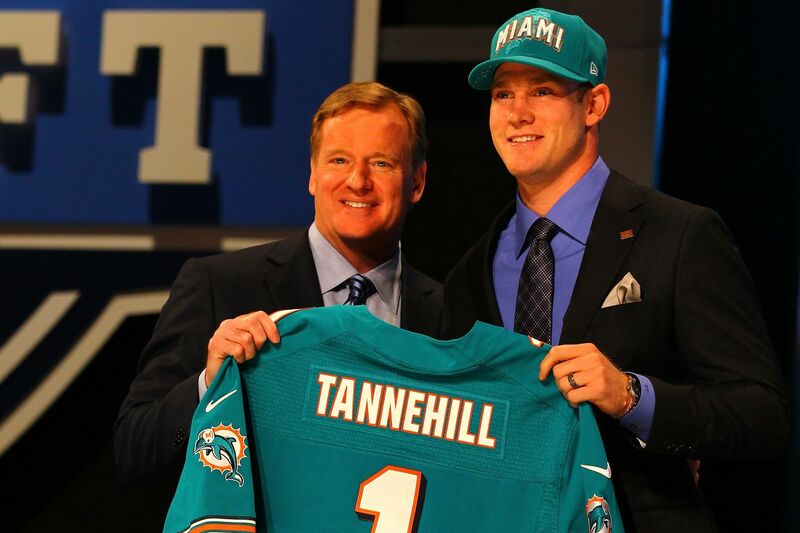 You see, in the eyes of Dolphin fans, Ryan Tannehill was that flower in the garden they knew could blossom into something special. However, the years came and went and while there were years those petals would show bright, the flower never fully blossomed and time had simply run out. Like it or not, Ryan Tannehill leaves as the 3rd best QB in Dolphins history, only behind two Hall of Fame QBs in Marino & Griese. He is 3rd in games started (88), 3rd in wins (42), 3rd in yards (20,434) & 3rd in TD’s (yes, he made you smile 123 times). Ryan Tannehill was not bad. Ryan Tannehill was not great. Unfortunately, Ryan Tannehill lived his football career in the good with spirts of excellence and disaster. You can be glad Ryan Tannehill is no longer your QB. But you need to respect the fact that he was a stand-up guy who legit gave his blood, sweat & tears to this organization for 7 years. He never did anything to disrespect his teammates publicly and was a model citizen in the community. It appears ex-players like Olivier Vernon & Mike Wallace took to social media over the past couple days to say he was given to many chances, and that he should had been shipped out years ago. Is that Ryan’s fault? Sounds like petty jealousy to me. You will notice his CURRENT teammates like Reshad Jones & Kenyan Drake took to those same social media platforms to praise Ryan upon learning of his departure. Ryan Tannehill is officially the best backup QB in the NFL right now. He finds himself backing up a QB in Marcus Mariota who has played 4 seasons in the NFL. However, Mariota has yet to play a full season due to constant injuries. So, love him or hate him, there is a very likely chance you will see Ryan Tannehill lace up those cleats in 2019. How will he do? We don’t know. And that’s the exact reason why he is a Titan now.